5 Nutrients That Help Improve Oxygen Uptake. Your Blood Cells Will Absolutely Love These! In order for your body to produce the energy that you need to live, your cells must continually take in oxygen, a process that is largely dependent upon proper nutrient intake. Nutrient deficiencies can lead to poor oxygenation, which in turn can cause cell death, inflammation and other health problems. It is thus important to eat the right things for optimal cellular respiration, nourishing your circulatory system as well as the rest of your body so you can maintain a healthy and long life. One of the main functions of dietary iron is to help your body produce hemoglobin, a protein found in red blood cells that binds to the oxygen molecules you breathe in from the air and releases them into your tissues. 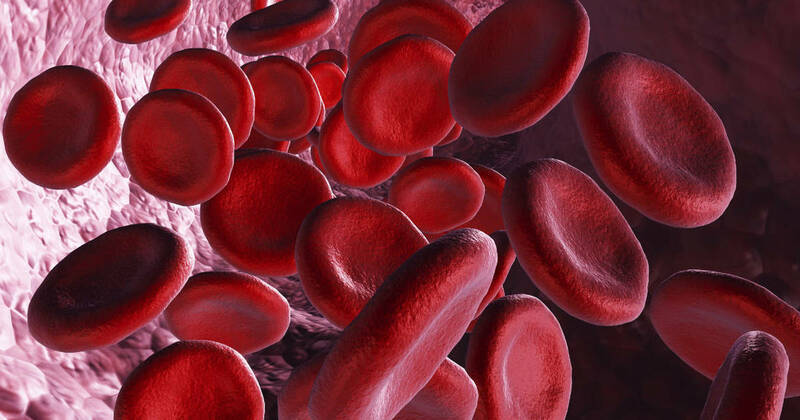 A lack of iron can lead to a condition known as anemia in which not enough oxygen is being transferred into cells. Copper and iron appear to work hand-in-hand to produce healthy hemoglobin, and copper also aids in the production of collagen and elastin, two proteins that compose the cell walls of your blood vessels and keeps them strong. Too much iron in the diet can deplete copper or even replace it, leading to accelerated aging and tissue destruction. So be sure to consume foods that are naturally rich in copper — these include crabmeat, mussels and oysters in the meat department, and almonds, cashews, dark leafy greens, beans and potatoes in the plant-based department. If you want to gain the most benefits from your iron intake, vitamin C is another necessary nutrient. Vitamin C makes non-heme (vegetable-based) iron more bioavailable and also helps your body absorb more iron from the foods you eat. Vitamin C is also a powerful antioxidant that helps synthesize collagen, catecholamine and carnitine. Though its supposed benefits are often overblown in the media (which typically ignores the fact that it must be consumed alongside vitamin D, vitamin K, magnesium and other co-factors in order to be beneficial), calcium plays an important role in transporting oxygen to cells. Calcium helps regulate how much blood passes through your blood vessels, guiding the flow of oxygen to cells. “[Calcium] can dilate blood vessels around tissues that need more oxygen at any given time to provide more oxygen-rich blood flow, or constrict blood vessels and reduce blood flow to tissues that need less oxygen,” wrote Louise Tremblay for SFGate. Arguably one of the most important trace minerals in existence, organic sulfur enables the transport of oxygen across cell membranes, which as previously mentioned is critical for cellular regeneration. Without this important nutrient, which is no longer present in high amounts in soils because of factory farming, life would cease to be. Latest Headlines » Nutrition » 5 Nutrients That Help Improve Oxygen Uptake. Your Blood Cells Will Absolutely Love These!